This year, the Tour de France will cover 3,540km (2,200 miles) over 23 days. For the riders who will be taking on this tremendous challenge, energy management is crucial to getting to the finish line. Riders try to save energy in various ways to limit their expenditure, then work just as hard to replace that energy once the stage is finished. Here are some of the tactics and methods they use to keep riding every day. Energy conservation is a crucial factor for every rider. Any extra energy needlessly expended can cost a rider later in the stage or the race. One of the easiest ways to save energy is to stay tucked in the peloton and out of the wind. 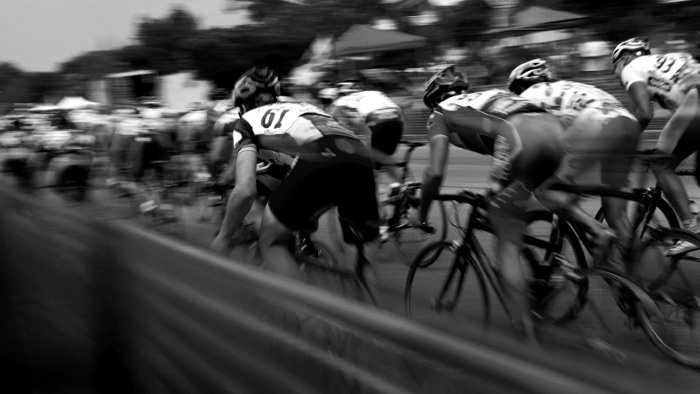 By riding in the peloton a rider can save up to 30 percent of their energy. Over the course of the Tour those energy savings are tremendous. The less energy expended during the ride means a smaller toll on the body. While you may not be riding in a peloton, you can still sit behind other riders and get the same benefit. During weekend long rides try sitting in a bit more early on, then let your fresher legs turn the screws to your riding buddies at the end. Each team is typically working for one rider. It may be in search of the overall win, or just for the stage, but each team has a designated rider whom the others will be working for. This means that those lead riders are never alone; the support riders, or domestiques, keep them protected, out of the wind, and pace them at crucial moments. These domestiques are most visible during the mountain stages where one or two riders are given the task of taking care of the their leader until the final kilometers. In this case, they provide the draft and pacing needed to keep their man at the front. Teammates also come in handy should the lead rider have a flat or mechanical. The support riders will stop, wait for their team leader, then work to bring him back into the peloton. All of this is to ensure that the chosen team leader uses the least amount of energy possible. Maybe you don’t have teammates exactly, but you do have riding buddies. On your next ride, talk one of them into being your domestique for the day (you can reverse the roles on your next long ride). Let them pace you over the rollers or up the climbs of your route. If it gets windy, let them be your shield from the elements. Their job is to work for you, so let them know if you want them slow down or speed up. Just remember, like a good team leader you should thank your loyal lieutenant after the ride. Riders must stay on top of their hydration at all times, pre, during and post race, to keep themselves hydrated. During the race riders will consume as much water and electrolyte replacement drinks as they can. Often, a domestique will drift back to the team car and load up with five to eight bottles then bring them back up to be given out to teammates. Fluid intake varies by rider, but in the hot weather of France in July it’s hard to be over-hydrated. Nutrition is another crucial factor. During a stage, a rider will burn up to 4,000 calories, and replacing those calories can be difficult. Riders will mix up sports nutrition products like bars and gels along with more “real food” options like small sandwiches or special rice cakes. The goal is to have a steady stream of easily digested calories taken in while also giving the rider something they actually want to eat. After the stage riders immediately consume calories to start the recovery process. The evening meal will consist of a mix of carbohydrates, protein and fat and is closely monitored to ensure recovery is maximized. You likely don’t have a follow car handing you bottles and pre-made rice cakes, but you should still adhere to the same principles. Your jersey has pockets, so fill them with easy to eat calories. For those super long rides, pack some cash or a debit card and stop at a cafe or even a gas station to refuel. If you’re riding with friends, buy a gallon of water and refill bottles with cold water. If you like a certain electrolyte drink pack some into a Ziploc bag and take it with you. When your ride is over have some recovery calories waiting for you. The proper mix of liquid calories and real food is highly personal, but you should think ahead and plan your recovery meal before you even start your ride. Pre-ride preparation makes it easy to grab what you need rather than sit on the couch in an exhausted state. This is the easiest but often most overlooked recovery method. Sleep is when the body works to repair the damage done by a long day in the saddle. A good night’s sleep is not to be underestimated. Often, when a rider crashes and has some skin abrasions and cuts, he is waking up at night and losing precious sleep that can harm them more than the actual injuries. Professional cyclists are also professional sleepers. You may not be pedaling hundreds of miles for consecutive days, but the stress of work, family and life in general can wear you down. Get on a consistent sleep schedule by going to bed at the same time every night and aim for 7 to 8 hours every night. Avoid your computer and checking email later at night and if you can, keep your phone out of the bedroom.